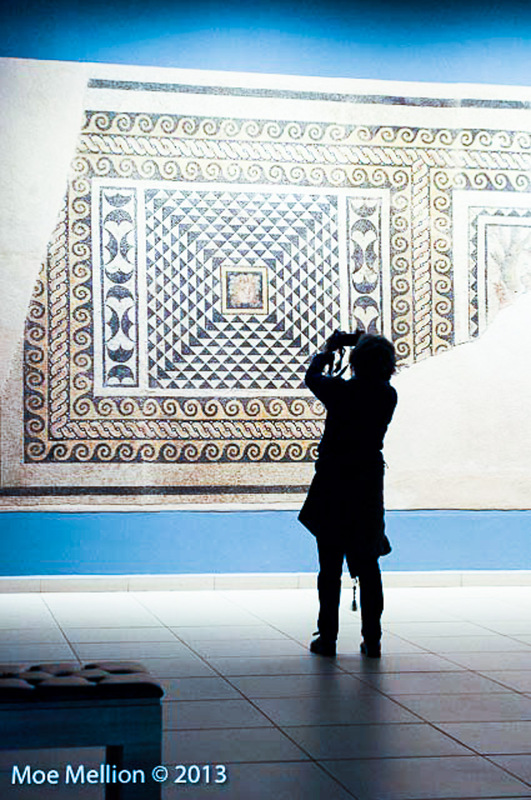 This museum is eye-candy for the soul. 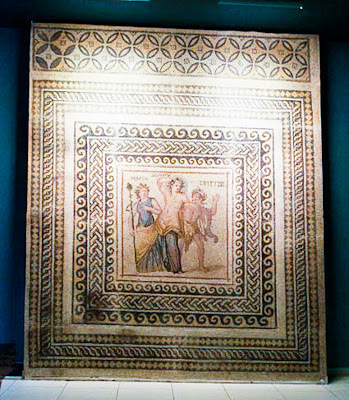 It is so big and so exquisite. Sit down with a cup of coffee/tea and enjoy a true wonder. 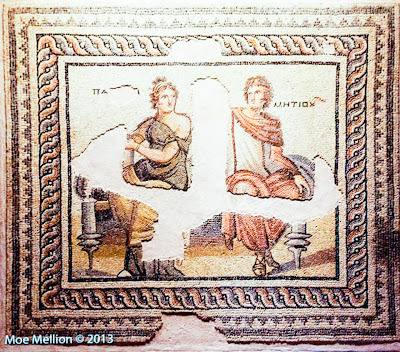 First: disclaimer--our overload of photos worked against us as we sat down to blog--we bogged rather than blogged! 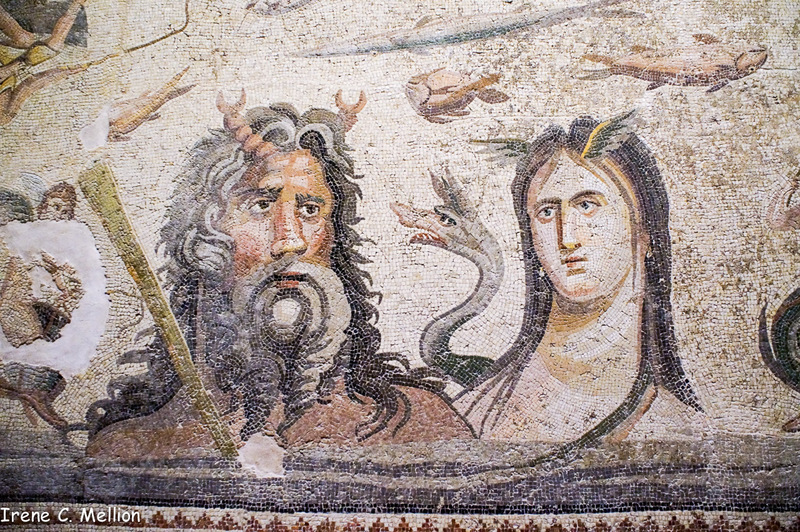 Moe handed off the project to me so this is a combo post. 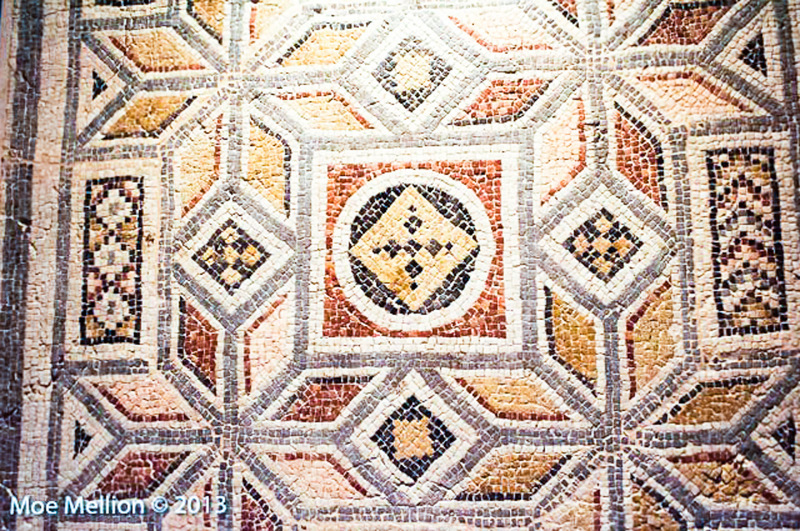 I apologize for the different "colors" of the images--some look bluish, some orangish--but they were taken with two cameras and the light conditions varied. The following is an extract from an article published in World Archaeology Issue 52. 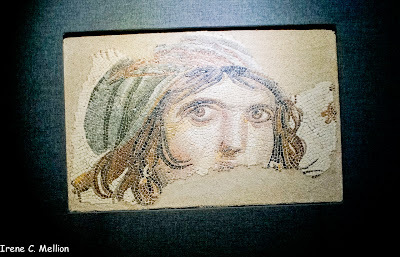 Please read on; it's worth it. 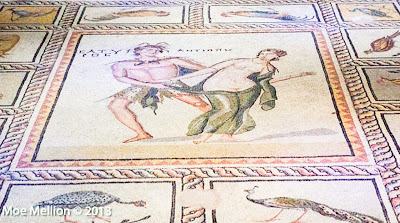 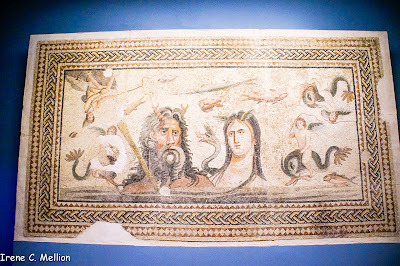 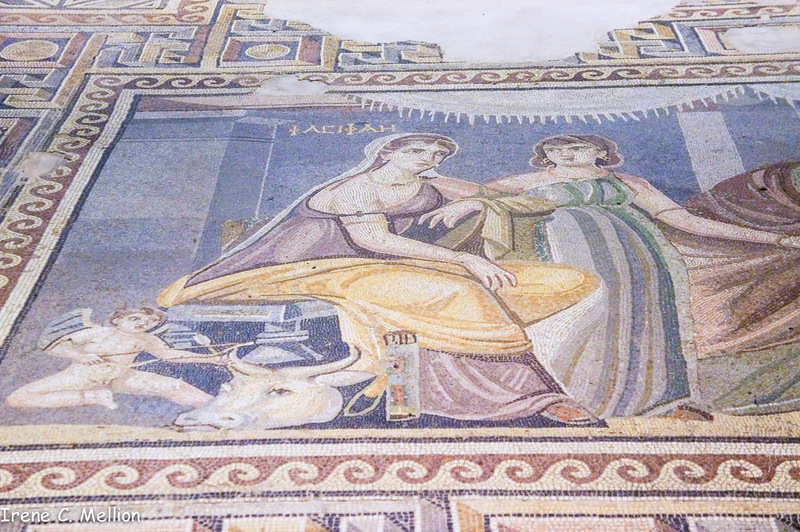 When magnificent mosaics were revealed in the Roman villas at Zeugma, such was their impact that the Turkish authorities decided they deserved their own museum. 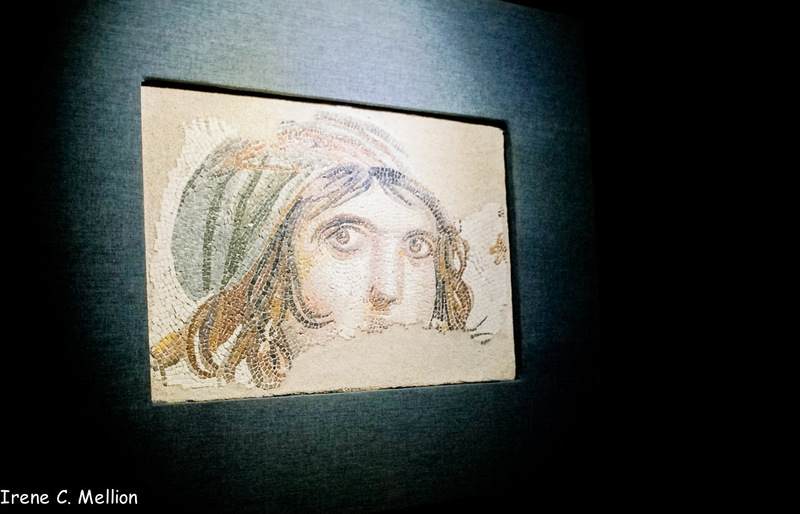 So it was that the largest mosaic museum in the world opened its doors last year; within two days, more than 3,000 visitors passed through them. 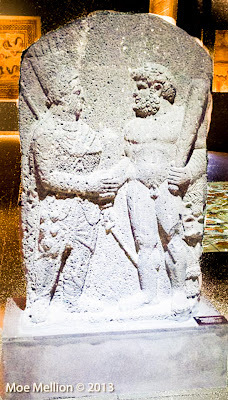 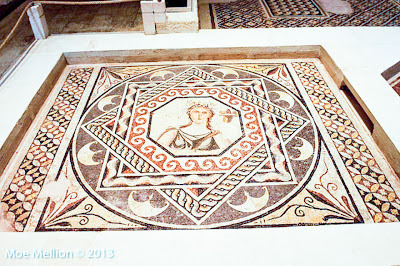 The Zeugma Mosaic Museum is in the modern city of Gaziantep, south-eastern Turkey, not far from the excavation site. 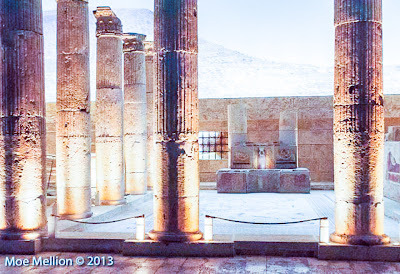 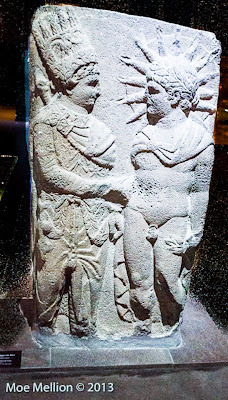 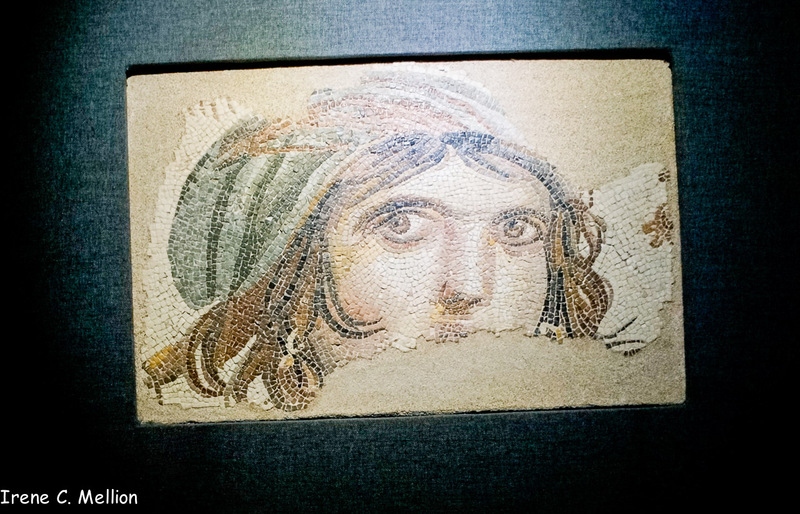 Zeugma was founded by one of Alexander the Great’s generals, Seleucus I Nicator, in c.300 BC. 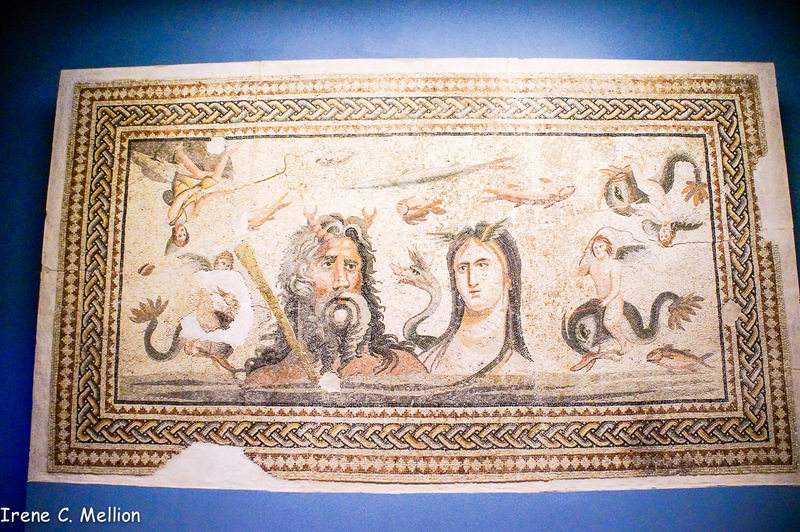 The city straddles the River Firat – the ancient Euphrates – with its two halves joined by a bridge. 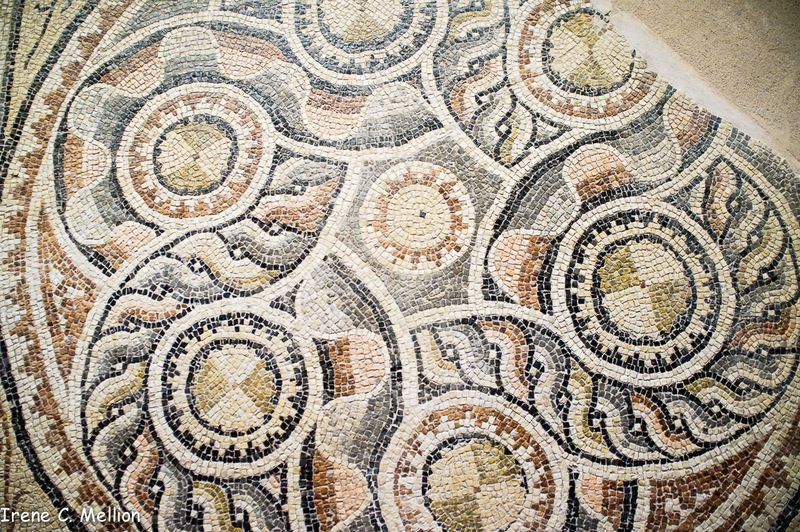 As such, Zeugma was ideally placed to exploit the east–west trade route. 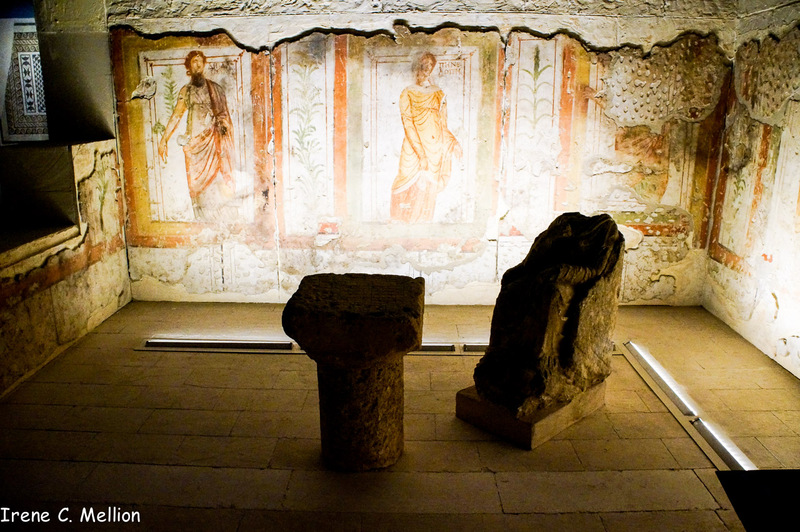 The city flourished, reaching its peak during the Roman period from the mid 1st century BC to AD 3rd century. 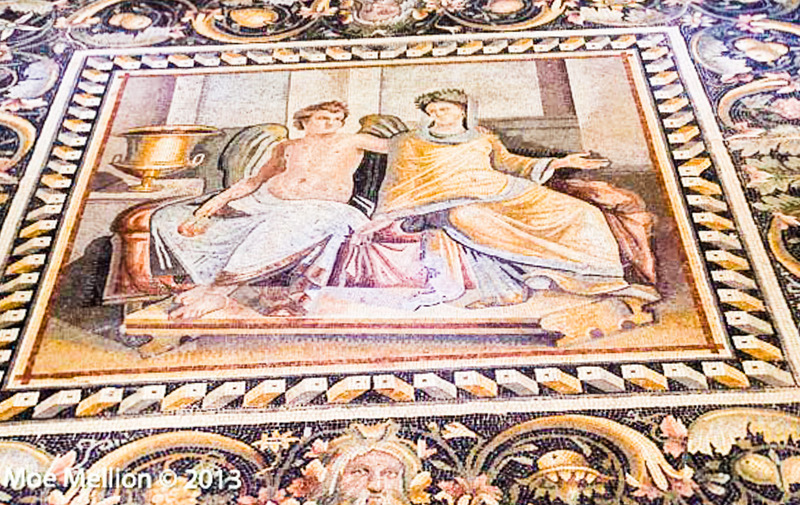 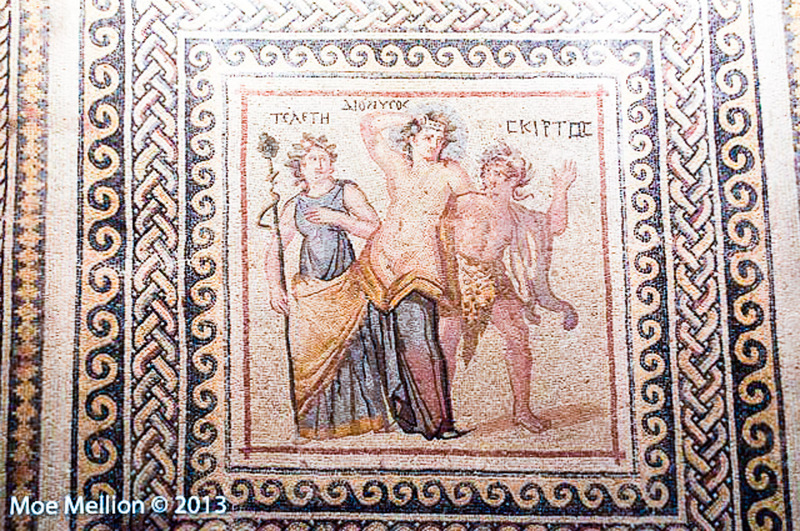 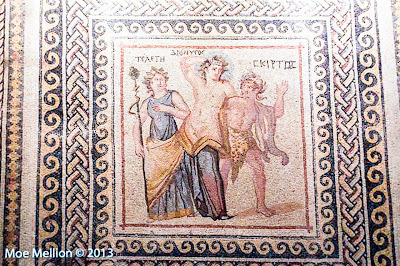 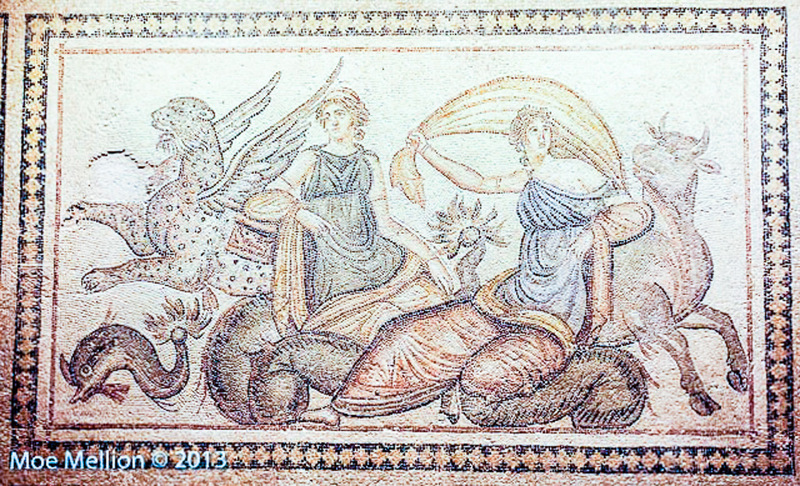 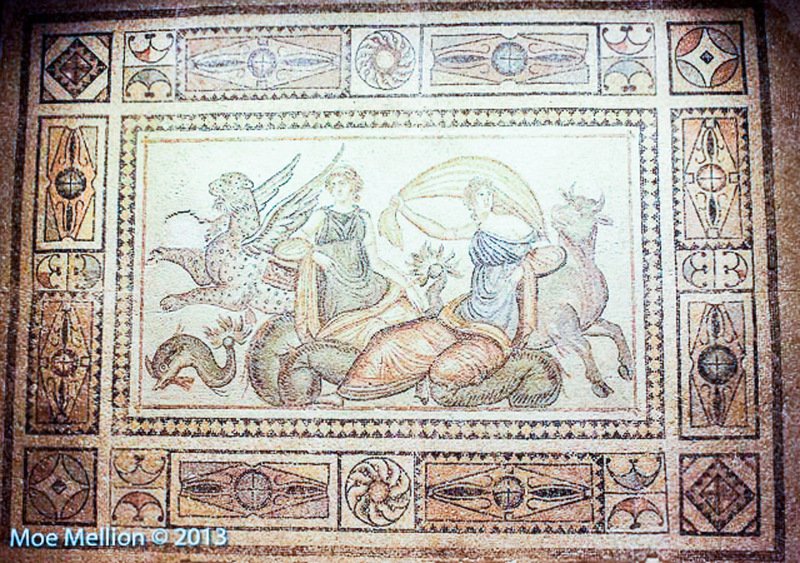 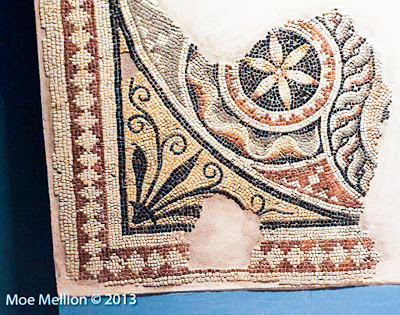 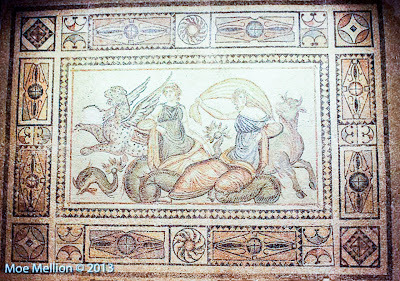 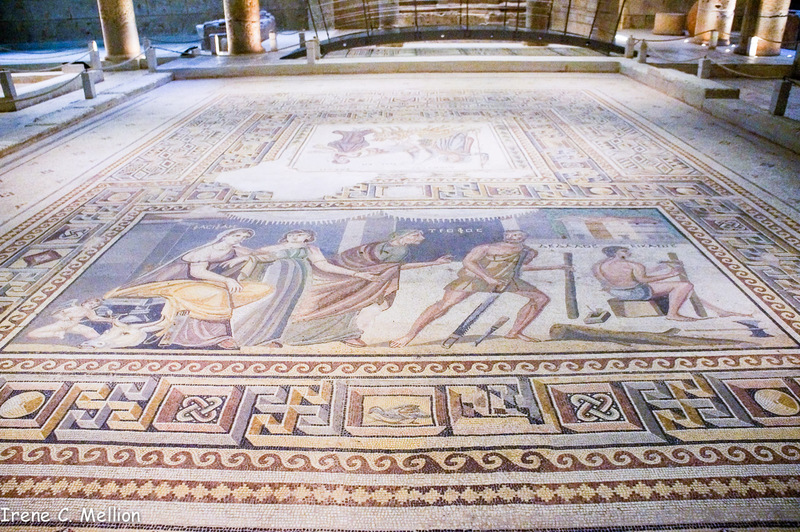 Many of the mosaics recovered during the two decades of excavation date to this period of prosperity. 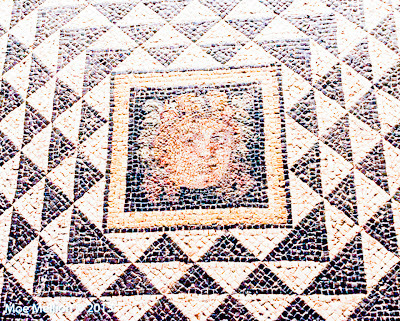 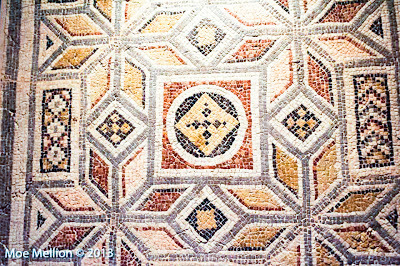 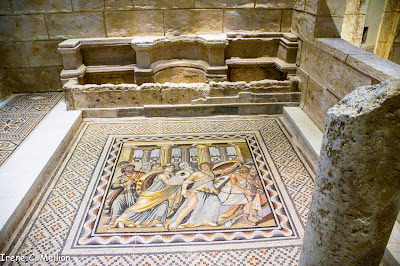 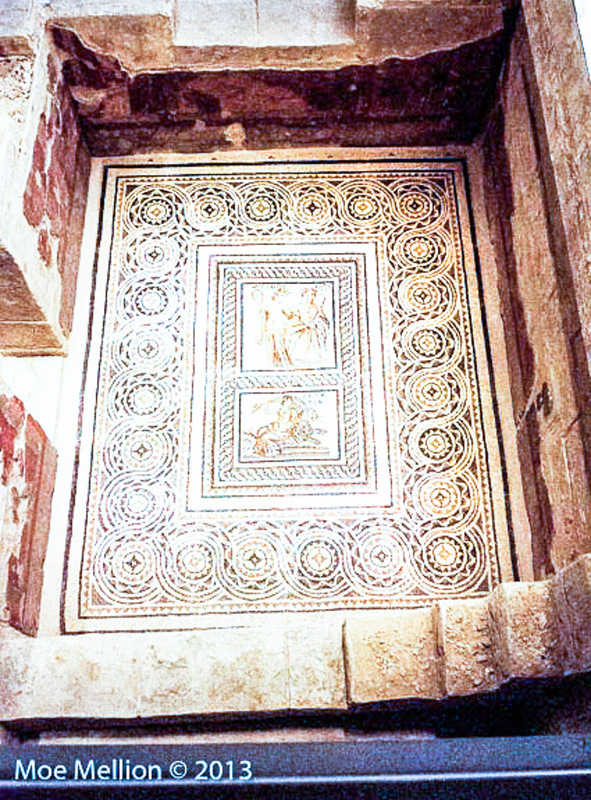 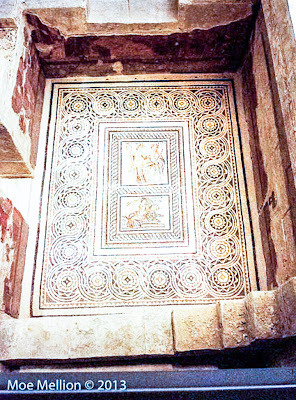 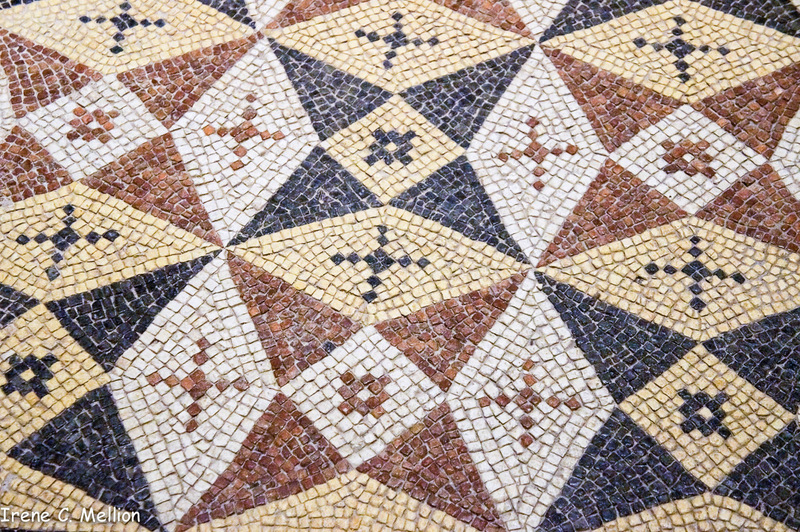 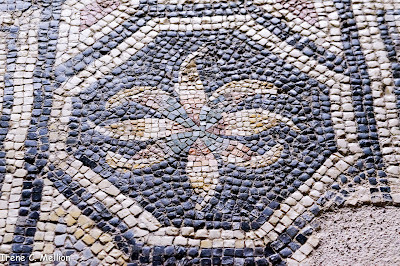 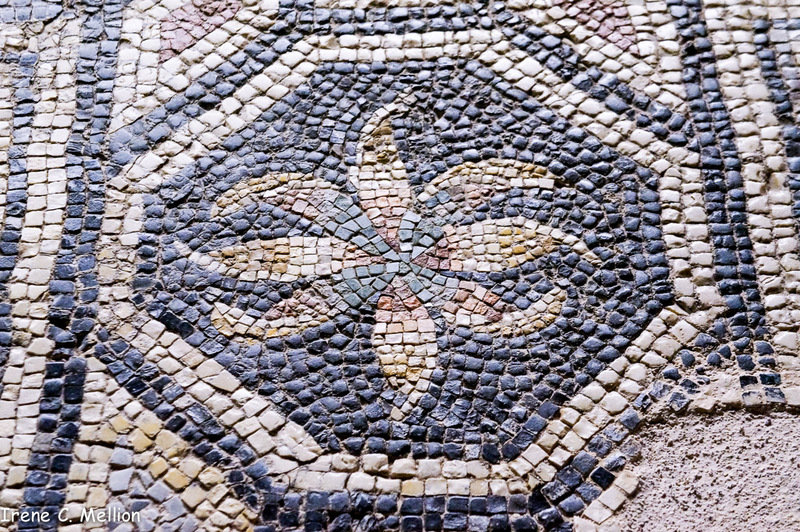 The use of mosaics was a practical, albeit expensive, means of creating a smooth, level floor; but they were also highly decorative, designed to impress with their beautiful and sophisticated use of decorative tesserae, which were carefully placed to create geometric patterns or scenes with mythological themes. 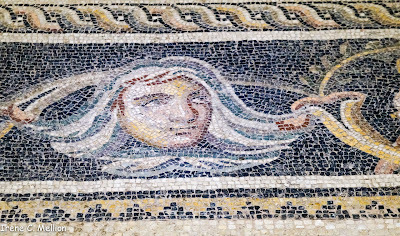 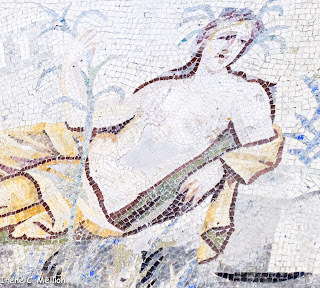 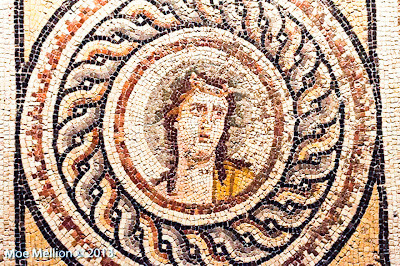 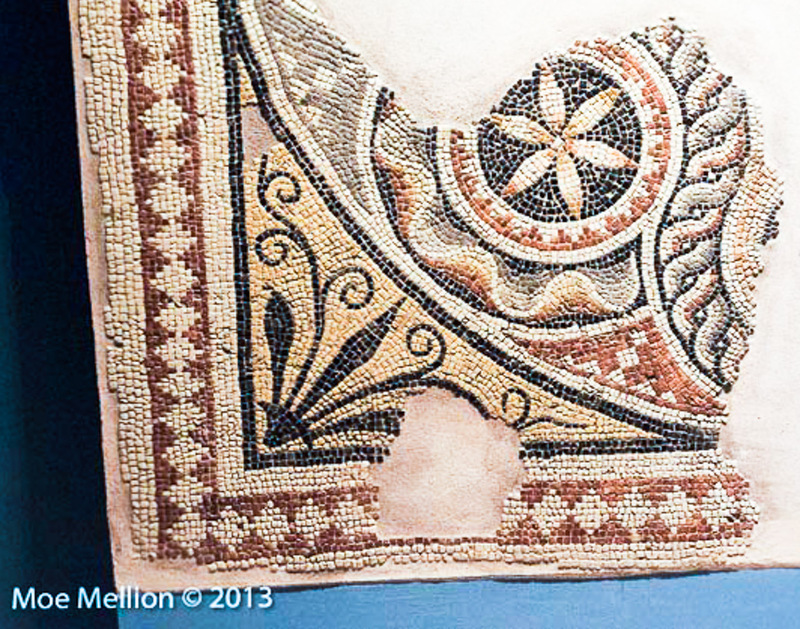 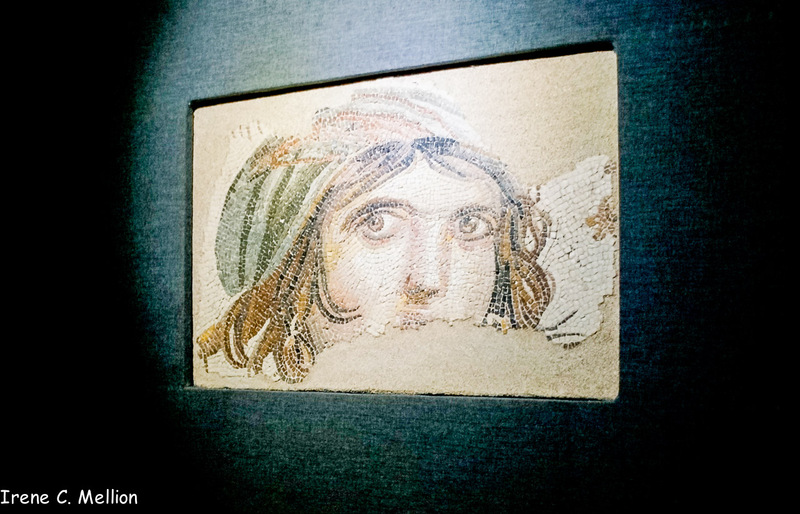 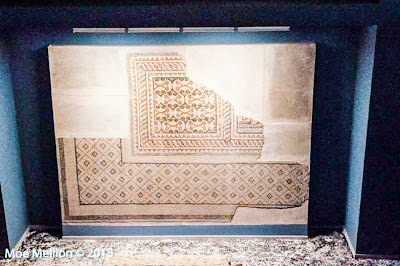 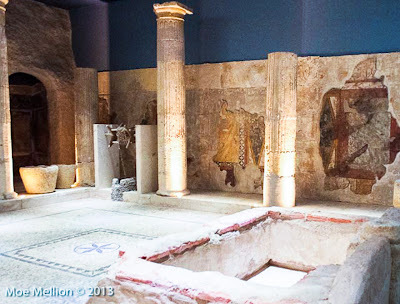 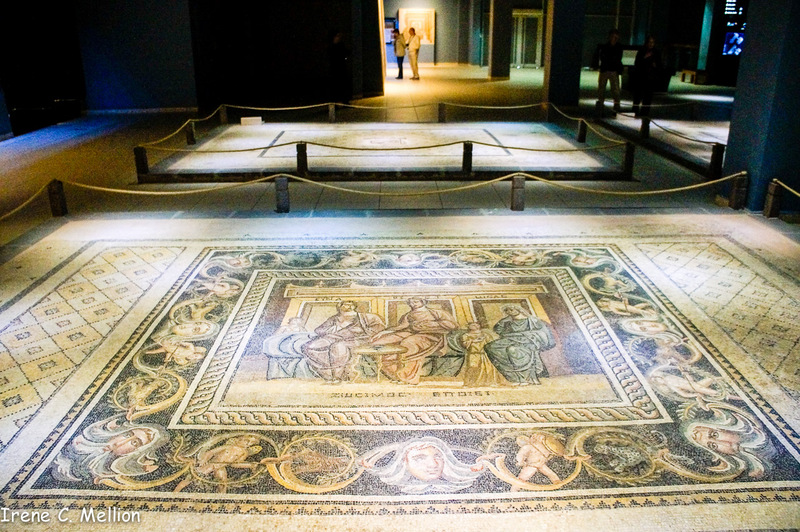 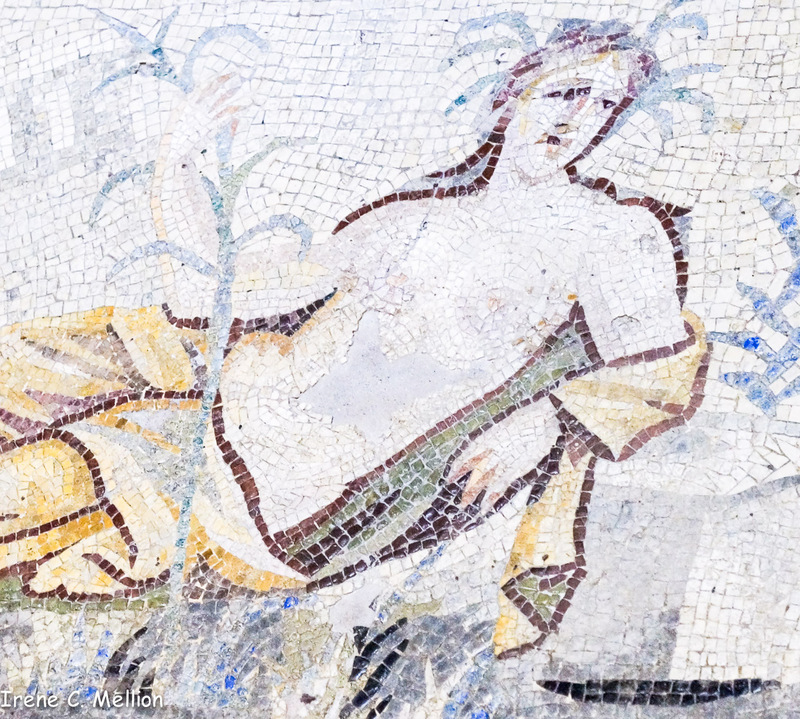 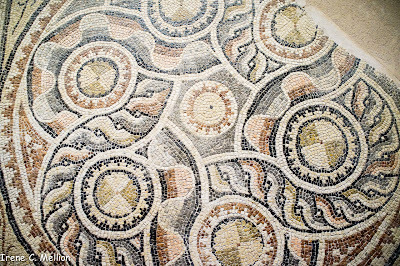 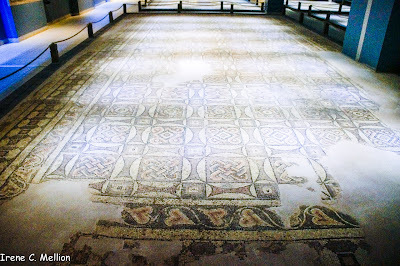 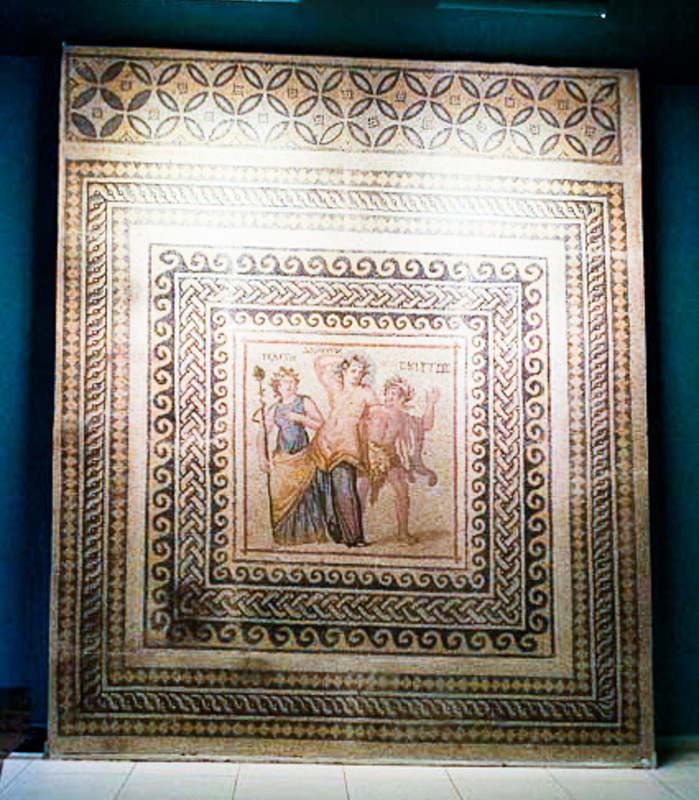 More than 2,000m² of mosaics were uncovered at Zeugma, and most are now exhibited over the three floors of this museum. While the majority of the mosaics come from Zeugma, there are also some examples recovered from other sites around Gaziantep, including some 6th century AD artworks from churches in the region. 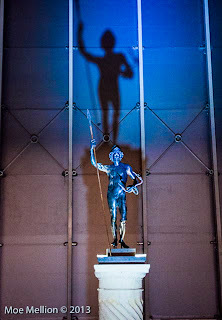 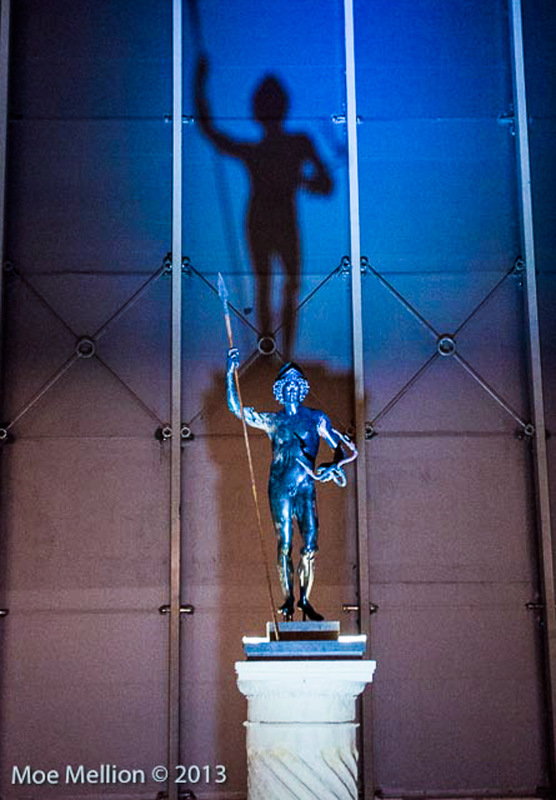 This statue of Mars, 1st century B.C., is unusual as he holds symbols of both peace and war. 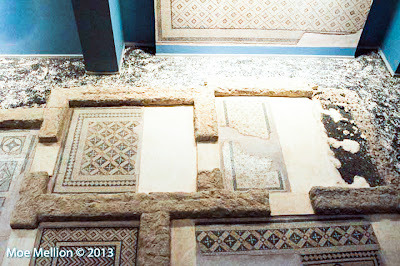 The mosaics from Zeugma are displayed as they were found, positioned according to their original on-site locations: those uncovered closest to the Euphrates are the first on view inside the museum entrance; those from higher up the terrace above the river bank are laid out beyond and on the upper floors of the building. 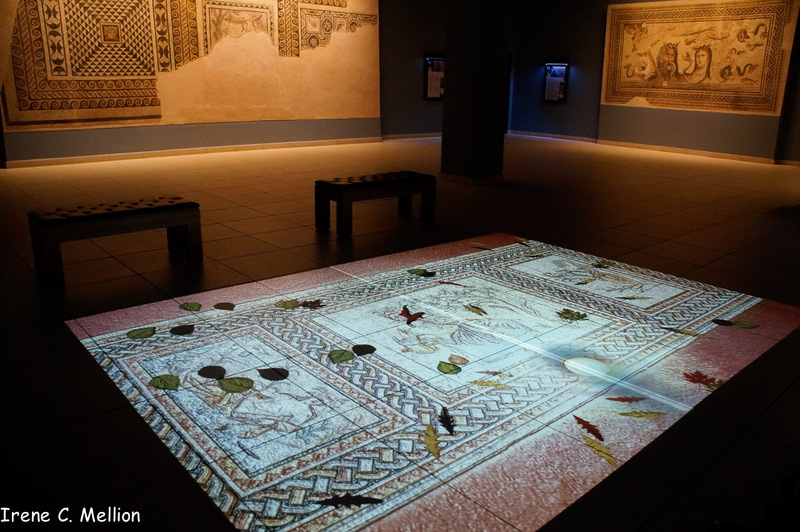 Visitors ‘enter’ Zeugma as if from the river level, then rise up as though climbing the terrace sets on a stroll through the city. 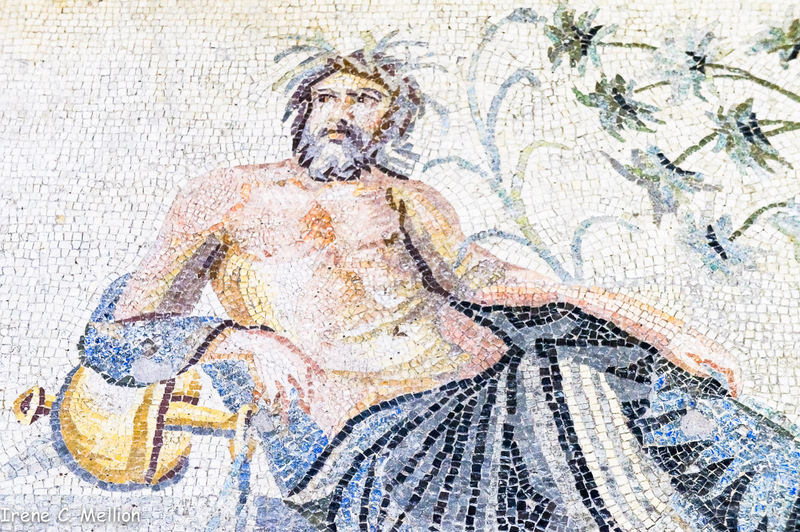 The effect is of wandering through the villas, seeing how the people lived, their beliefs, their culture, and their daily life. 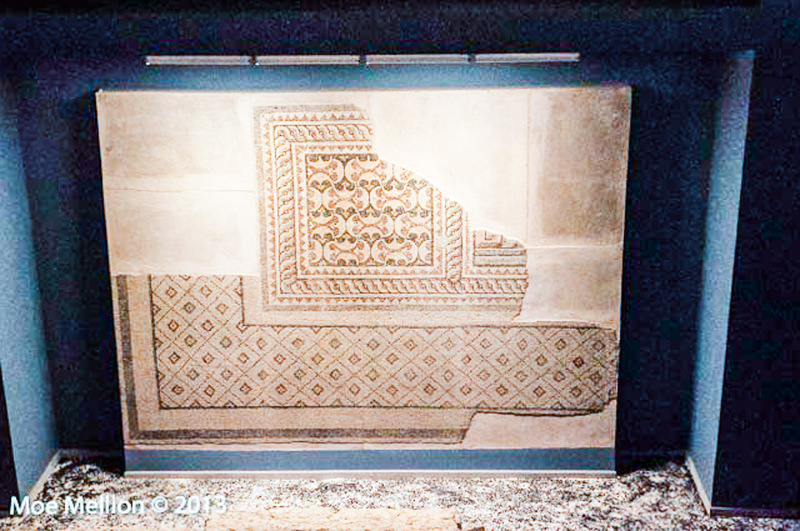 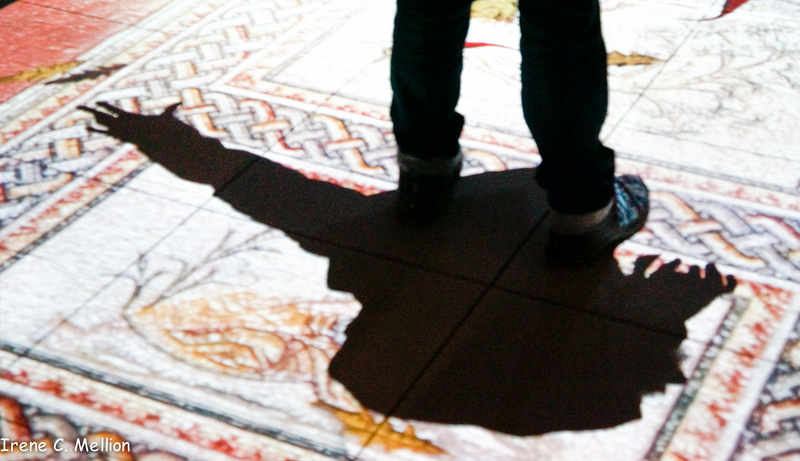 Gigantic photographic displays of Zeugma on the walls add to the illusion, and those mosaics where part of the image has been damaged or lost have been ‘filled in’ by light projection. 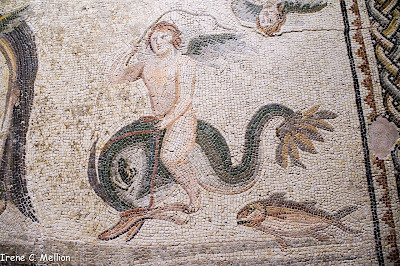 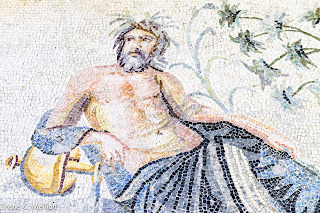 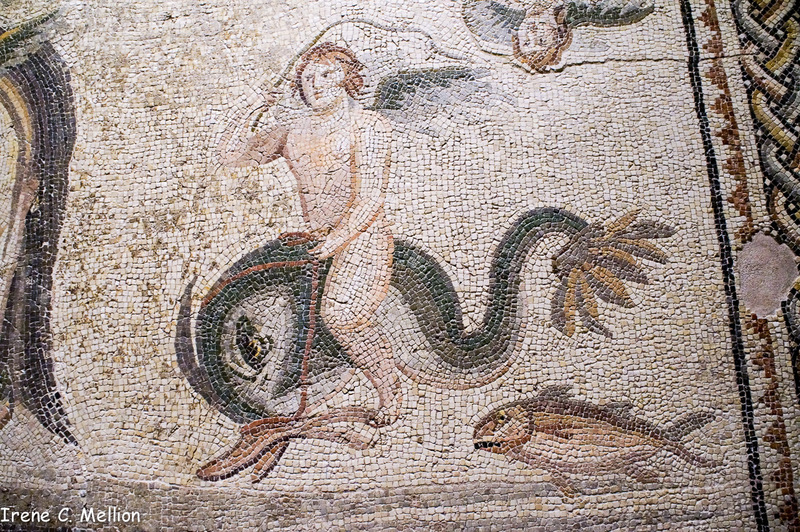 One of the most striking mosaics portrays the Titan Oceanus and his wife Tethys – mythological primordial sea deities, parents of the world’s rivers, fountains and lakes – with each of their 3,000 daughters, nymphs called Oceanids. But the most famous artwork is the haunting mosaic nicknamed ‘Gypsy Girl’. 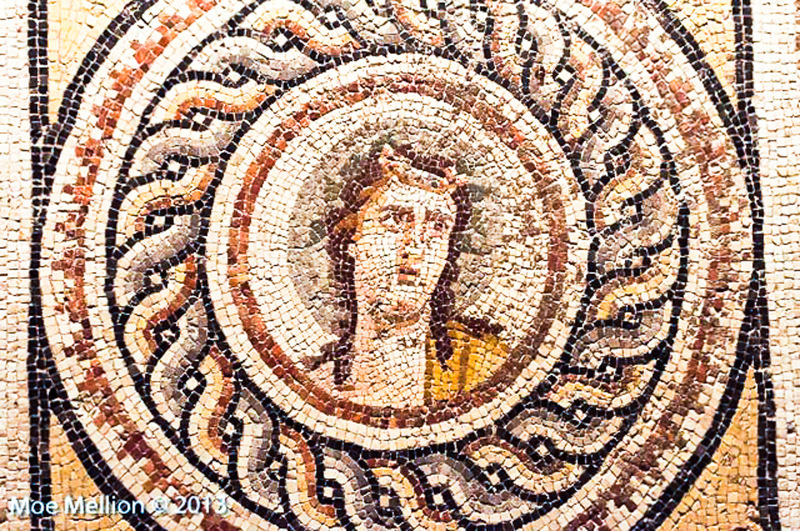 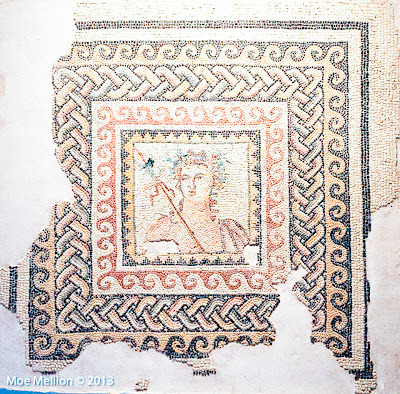 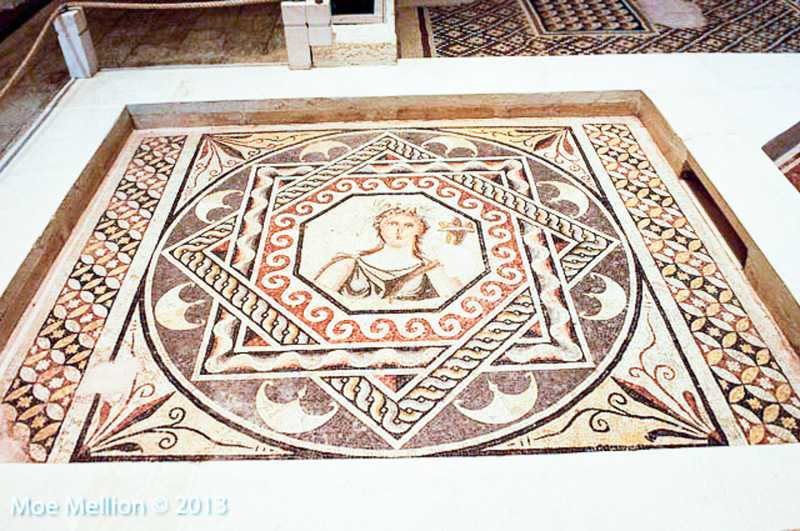 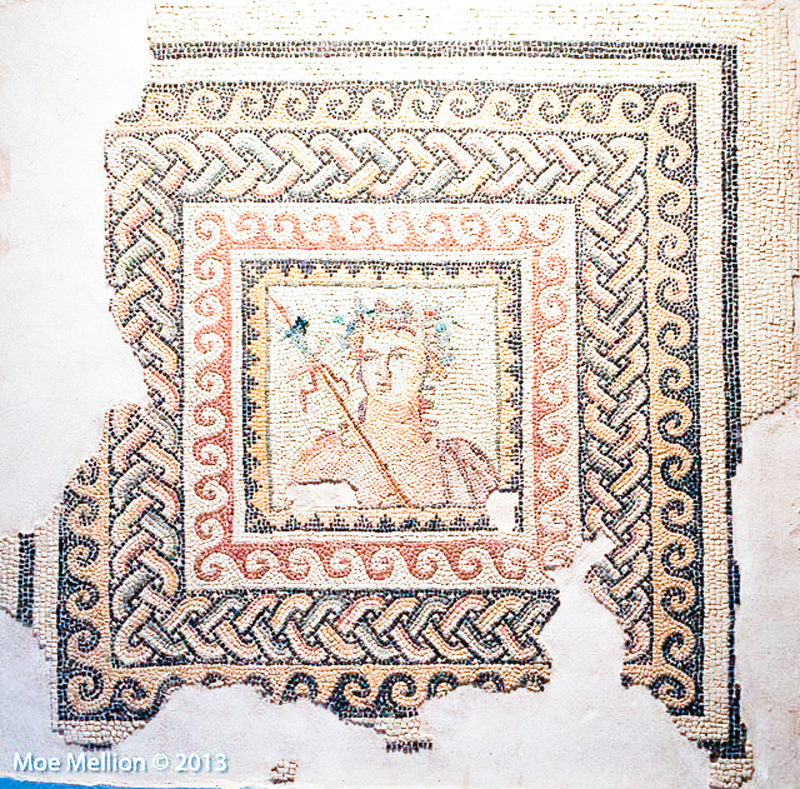 In fact, she is a Maenad – a follower of Dionysus – and her beautiful portrait, housed in a special room with labyrinth-themed decorations, has become the unofficial symbol of the Zeugma excavations. 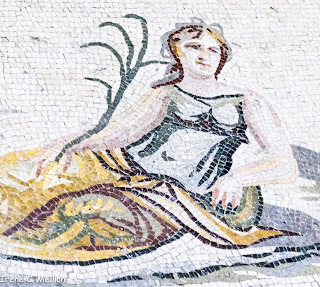 Detail, "Women at Breakfast Mosaic"